DPReview has completed their review of the new Nikon D850 DSLR camera saying “the D850 is the best DSLR on the market today, and among the best all-around stills cameras we’ve ever tested“. 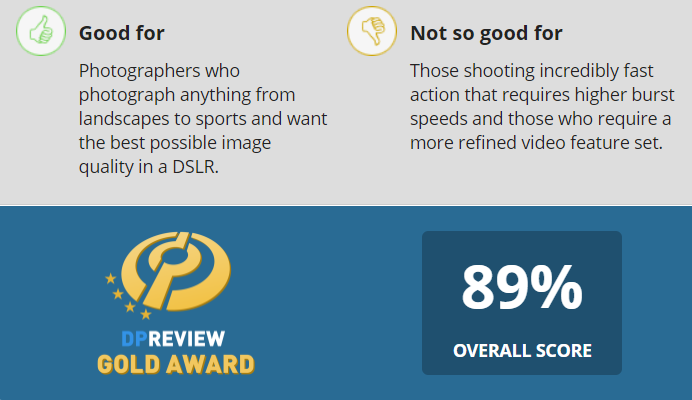 According to the test results, the Nikon D850 achieved an impressive 89% overall score (just after Nikon D500, Sony a7RII, and Nikon D750) and Gold Award from the experts at DPReview. 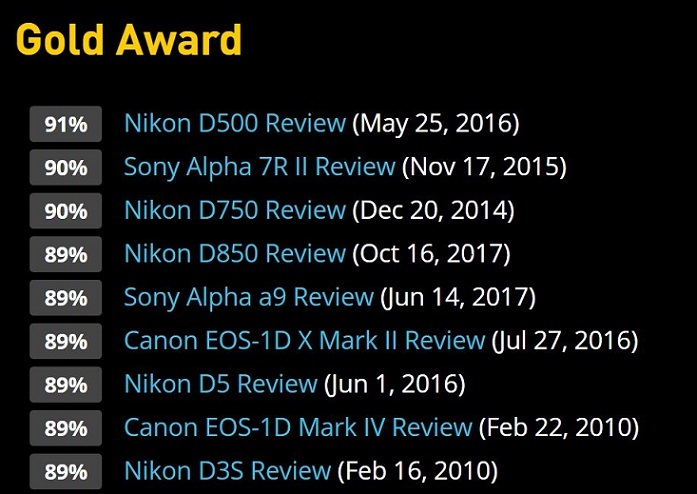 In addition, Nikon D850 DSLR is the new king of DxOMark – the first DSLR camera to achieve an overall DxOMark score of 100 points. All in one, the new Nikon D850 camera is really amazing!!! With expansive resolution, a capable autofocus system, fast burst shooting and great image quality under almost any situation, the D850 is the best DSLR on the market today, and among the best all-around stills cameras we’ve ever tested. Live view autofocus and video modes could still use some work, but the camera’s capabilities handily outshine those deficiencies. 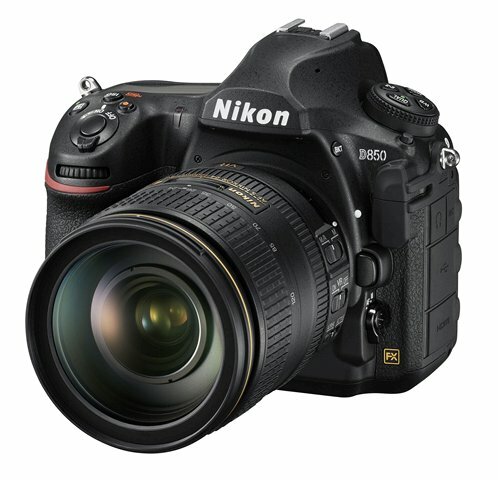 Nikon D850 availability: $3,296.95 at Amazon, B&H, Adorama, eBay, Best Buy. Read more: Best Lenses for Nikon D850. Like Nikon Camera Rumors on Facebook and stay tuned for more info. Note: Join the Nikon Camera Users Facebook Group to share your Nikon photography and advice, ask and answer questions that arise and help each others!